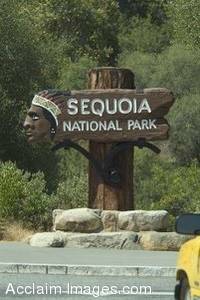 Description: Stock Photo of Sequoia National Parks Sign. This park sign has a Indian head carved into it making it unusual. You may license this image as stock photography or purchase it as a poster or an art print.